Kiyomi Lim's Site. : For Flea Sake , FFS ! & There's an App ! For Flea Sake , FFS ! & There's an App ! Who knows about FFS ? I bet you all know right?! Gosh? You don't know? Why you don't know?! For flea sake have been around for quite some time already. I have attended some of their fleas too! Do you all know much about them? Let me tell you! They are the largest flea market company in Singapore, with up to 10 fleas every month! FFS - A flea market branding developed over the past 2 years for youths and young working adults. They provide a platform for aspiring people to market and showcase their products. With them, flea markets are made alot easier because they provide you fleastastic fun, love & joy! Recently they came up with an iPhone/iPad/iPod app! It is a FREE application in the App store! With the latest updates and you will never miss anything out again! All with just ONE CLICK at the APPLE APP STORE. Remember to share the good bargains with your friends! Seriously, I find it freaking awesome so you better download it! With it, you all can find out where are the latest flea conducted by them. If you're a blogshop owner, you will be able to know which fleas and if a booth is available! If you're a shopper, you would know when and where to shop! 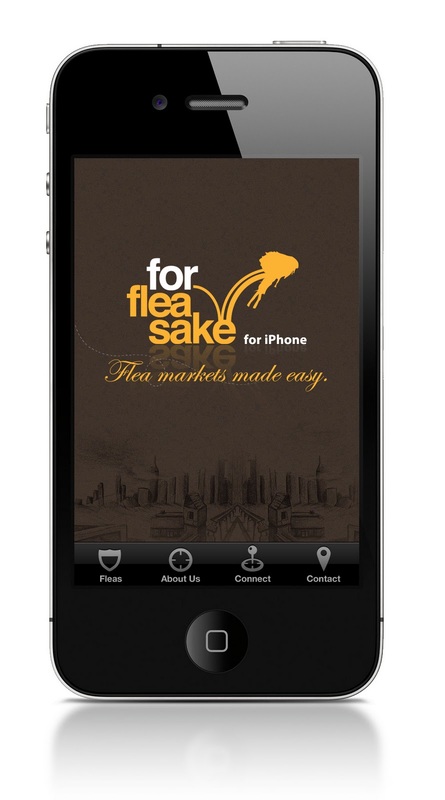 You will know when will a flea be happening near you. E.g. you need some last min. shopping and need shop low priced items, you can just click on the app to see if there's any flea coming up or any on-going flea! visit the link http://bit.ly/forfleasake to download from itunes.